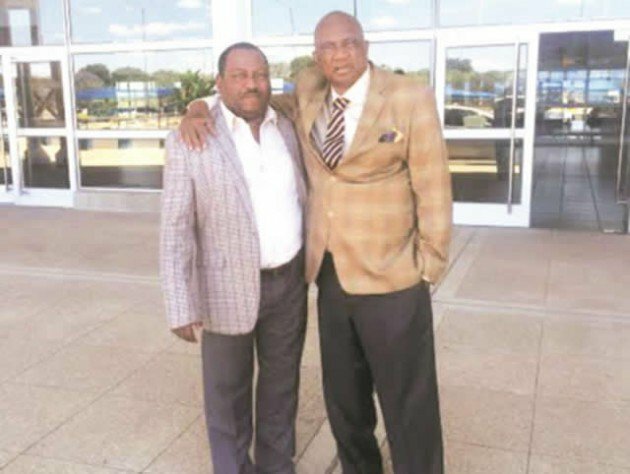 Zifa president Philip Chiyangwa and his deputy Omega Sibanda have been accused of violating Fifa's code of ethics following their decision to contest in the Zanu-PF primary elections ahead of the national harmonised elections later this year. Sibanda won the right to represent Zanu-PF in the upcoming general elections after being declared the winner in the ruling party's primary elections in Gweru's Vungu district. Chiyangwa, who is not new in national politics after having been an MP for Chinhoyi and a Zanu-PF central committee member, is also vying to represent Zanu-PF after contesting last week's primary polls for Zvimba South (Mashonaland West province). The duo's decision has been met with criticism with analysts arguing that their decision to engage in partisan politics is in breach of the Fifa code of ethics. Former Zifa president Ndumiso Gumede said although there was no law preventing them as Zimbabwean citizens from joining politics, the Fifa ethics code was clear on football administrators' involvement in politics. "As Zimbabwean citizens, they have the right to do as they please, but they can't go against the Fifa ethics code and if they decide to be actively involved in politics, then they have to step down from their roles in football," he said. "It is clear in Article 14 of the Fifa ethics code that football leaders must refrain from being active members of political parties and continue to be involved in the game. Sport is supposed to unite everyone across racial, political and religious lines. You have to be apolitical for you to lead in football, it's as simple as that and they can't have it their way." Article 14 of the world football governing body's code of ethics states: "In dealings with government institutions, national and international organisations, associations and groupings, persons bound by this code shall, in addition to observing the basic rules of Article 13, remain politically neutral, in accordance with the principles and objectives of Fifa, the confederations, associations, leagues and clubs, and generally act in a manner compatible with their function and integrity." In addition, Article 15 of the Fifa statutes also states that: "Member association's statutes must comply with principles of good governance, and shall in particular contain, at a minimum provisions relating to the following matters: a) to be neutral in matters of politics and religion; b) to prohibit all forms of discrimination; c) to be independent and avoid any form of political interference." Sibanda, however, said nothing bars football leaders from taking part in national politics. "What Fifa doesn't want is for people to bring the game of football into disrepute through politics. so if you go into politics and you don't bring the game into disrepute Fifa has no problem with that, it's got nothing to do with ethics," he said. "There are several examples of African football leaders who are involved in politics in their countries, there's no issue as long as you don't tarnish the image of football because of politics. "Politics and football work together, but they don't mix." The Zifa vice-president cited examples of other football leaders such as Confederation of African Football [CAF] president Ahmad Ahmad, who is a former sports minister and senator in Madagascar, and South African Football Association (Safa) president Danny Jordaan. Jordaan served simultaneously as both Safa president and mayor of the Nelson Mandela Bay Metro. Ahmad, who is also the president of the Madagascar Football Federation, however stepped down as vice-president of the Madagascar Senate after his appointment as CAF boss. Besides the two Zifa bosses, the forthcoming national elections have seen a surge in the number of sports personalities, mainly from the country's two biggest sporting disciplines football and cricket, seeking political office after contesting in the Zanu-PF primary elections. Zimbabwe Cricket (ZC) chairman Tavengwa Mukuhlani is vying to represent Zanu-PF in this year's harmonised elections in his home province of Mashonaland West after winning last week's primary polls for the Mhondoro-Ngezi constituency. Former ZC MD Ozias Bvute also contested in the ruling party's primary elections and earned the right to battle for the Goromonzi North seat while Midlands-based ZC employee and former Zimbabwe Under-19 team manager Admire Marodza lost in the Maramba-Pfungwe primary elections. The three cricket administrators were joined by former Zimbabwe Rugby Union board member Gerald Maguranyanga, who is contesting in the upcoming election as an independent candidate for the position of councillor for Ward 28 in Glen Norah.